Hello Noida! 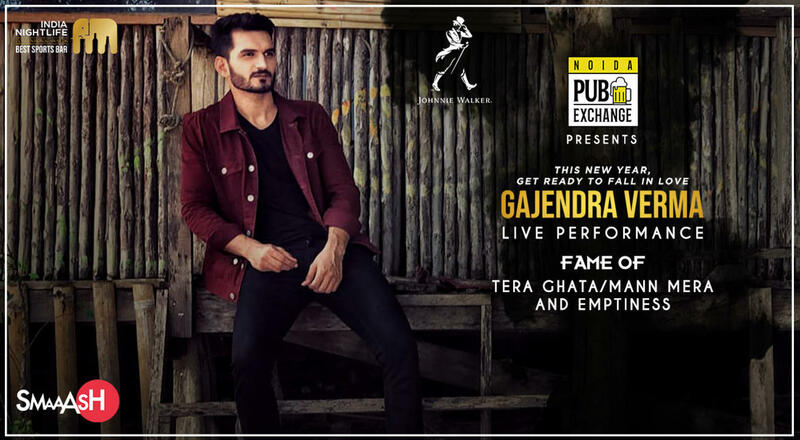 Are you ready for The latest heartthrob of the music industry, Gajendra Verma of ‘Tera Ghata’ fame is coming to Noida with his band ! Isme Tera Ghata, Tune Mera Jaana, Emptiness. Gajendra Verma, who gave us amazing songs like Mann Mera, Emptiness and Tera Ghata is coming to Smaaash Noida Pub Exchange Noida Mall of India for the very 1st time in Noida on 2nd February. Gig will be headlined by Gajendra Verma along with DJ Taran & Parikshit Soni.